Cloudy with periods of rain. High around 65F. Winds NNW at 15 to 25 mph. Chance of rain 70%.. ROLL UP YOUR SLEEVES & EAT! Come on down and have a sandwich, potato, salad or even soup! Everything at Avenue Subs is fresh and made as you order. The meat and cheese are sliced right in front of you and all of the veggies are cut that morning so everything is as fresh as can be! 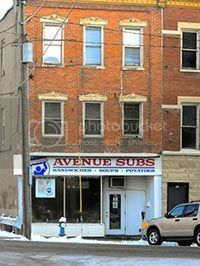 Get ready to “ROLL UP YOUR SLEEVES & EAT!” at Avenue Subs Sandwiches, Potatoes and Subs in a Tub! Stop in today!